The world’s fiercest raptor is the only accipiter found in both Eurasia and North America. It takes its name from Old English for “goose hawk,” and is capable of managing prey as large as geese. Subject of Helen Macdonald’s book, H Is for Hawk, the goshawk is popular with falconers but difficult to raise and train, so few falconers mess with it (a Good Thing in my opinion). 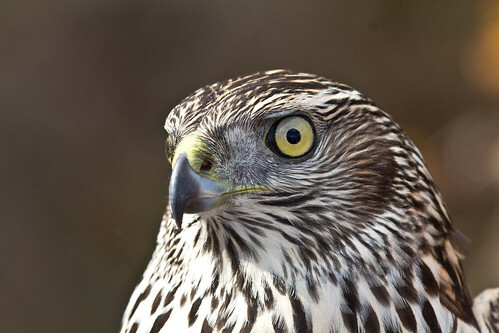 The Northern Goshawk’s autumn movements are cyclical, probably relating to cycles of snowshoe hares and other prey, but their numbers during “invasion years” are steadily dwindling, indicating that the species is declining dangerously.